OnGuard Pest Control is an Irish company based in Dublin. We provide fast, effective and professional pest control to both our residential and commercial customers. We are one of Dublin’s favorite pest control provider’s we pride ourselves on supplying protection, removal and elimination of all pests. OnGuard Pest control work 6 days a week Monday to Saturday with some evening calls available. We specialist in providing a friendly, discreet and quality service for the prompt removal of rats, mice, wasps and other forms of pests. Professional Services by IPCA certified technicians. Residential clients – we cover Dublin and surrounding areas. Find advice and solutions to identify and get rid of all types of pests from around your home. We provide Pest inspections and tailored Pest Control and Pest Monitoring Contracts for all types of Businesses. 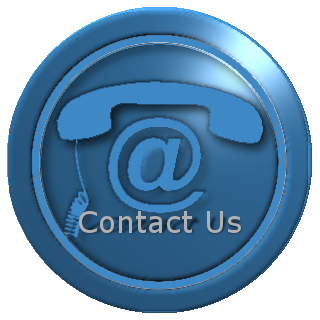 Fill in a Online Call Back request by clicking on the Contact Us button. Limited after hour calls available. OnGuard Pest Control is a locally Irish owned company, specializing in providing Dublin and the surrounding counties the right kind of protection from pests such as; Woodworm, wasps, silverfish, rodents, bed bugs and more. Our staffs work directly with you to determine your needs and the best way to control your pest issue, and proof against further issues. We ensure the safety of you, your family, pets or employees as we quickly resolve the problem in your home or business, along with preventative services for the future. Phone lines are Monitored 24/7 and we will do our best to facilitate a call out within 24hrs if not on the same day. If you find a creepy crawly that you are unsure of, Snap a photo of it and send it to us on Facebook or email and we can have one of our technicians take a look. Then give you a free over the phone quotation to get rid of it. We also over a 24/7 monitoring service for our contracted commercial clients. For many businesses, especially the food and health sectors, this is a statutory requirement to have pest control, but it is a good idea for any business to treat a problem early or put the preventative measures in place so you never develop a problem.